Cient's sketch and supplied model. 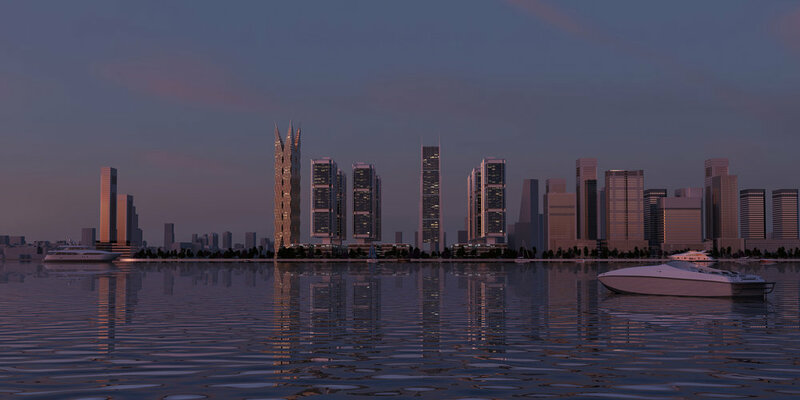 Competition Visualisation is a specialist field within Architectural Visualisation. 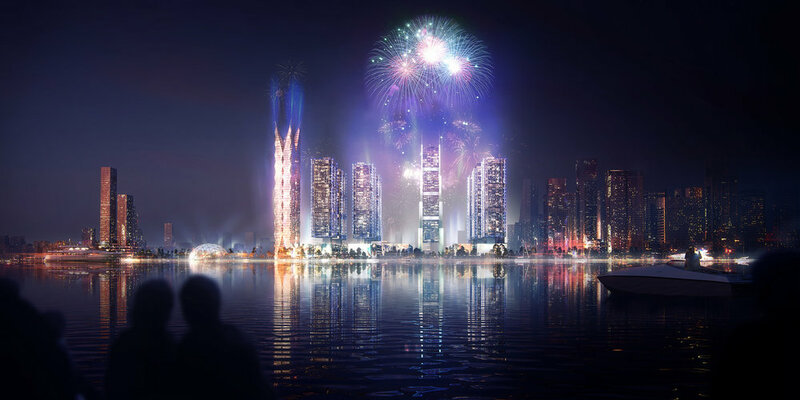 When architects are invited to submit designs for landmark projects they will commission hero images for the reveal moment of the presentation, it is this moment that sticks in the viewers mind. These images will usually be published during the final stage or on the award of the project once the competition is complete. The lead time for competition visualisation is often very short, sometimes only a few days. The designs for the project are usually very conceptual and the images are developed alongside the scheme. This means that the images will change quickly and frequently, with model updates and changes to the design. Post production and photo retouching. To enable the work to adapt and to keep pace with the changing brief, post production and photo retouching techniques allow us to develop images quickly while allowing for updates and changes. Above is a rendered image and below is the finished product.